The AS 175 digital franking machine quickly franks the correct tariff on each letter and parcel every time, so your postage costs are kept to a minimum. Even when not in use, the AS175 minimises your costs. After a period of inactivity, it automatically enters a low-power sleep mode, so minimising your energy bill. 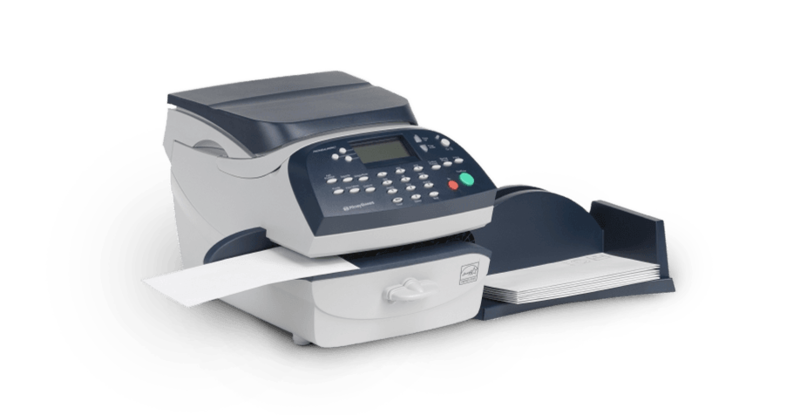 With an AS175 digital franking machine, every piece of mail you send costs significantly less than if you paid using stamps. It effortlessly processes up to 40 pieces of mail a minute and handles mail up to 9.5mm thick. Larger items are processed using tape strips. If you regularly need to process parcels or packages that weigh over 2.5kg, an optional weighing platform allows you to weigh items up to 35kg. The AS175 satisfies all current postal regulations, and the technology’s flexibility makes the AS175 adaptable for the future.